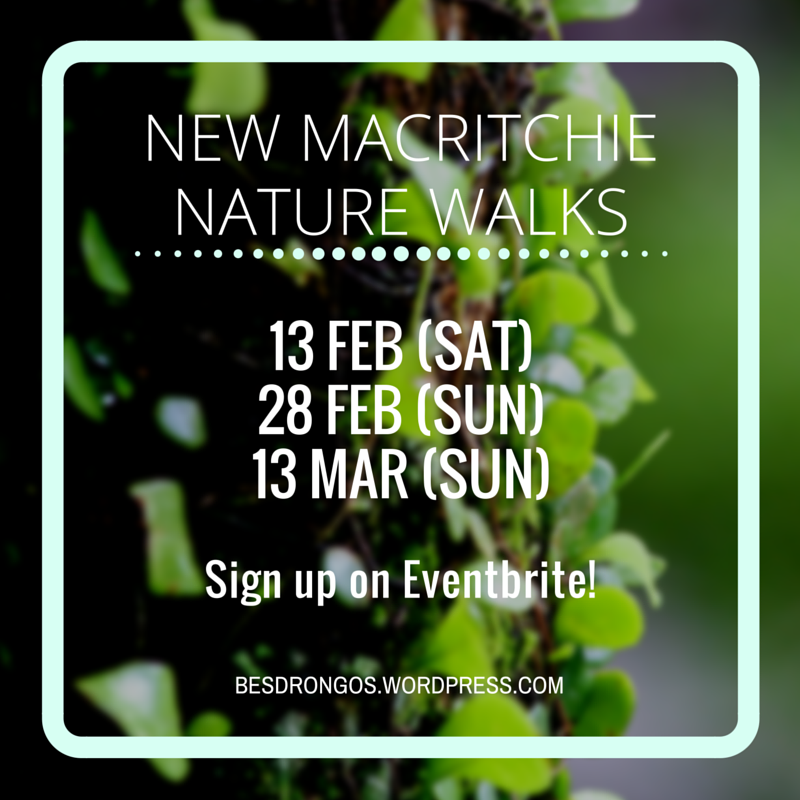 guided walk | BES Drongos | Follow that monkey! 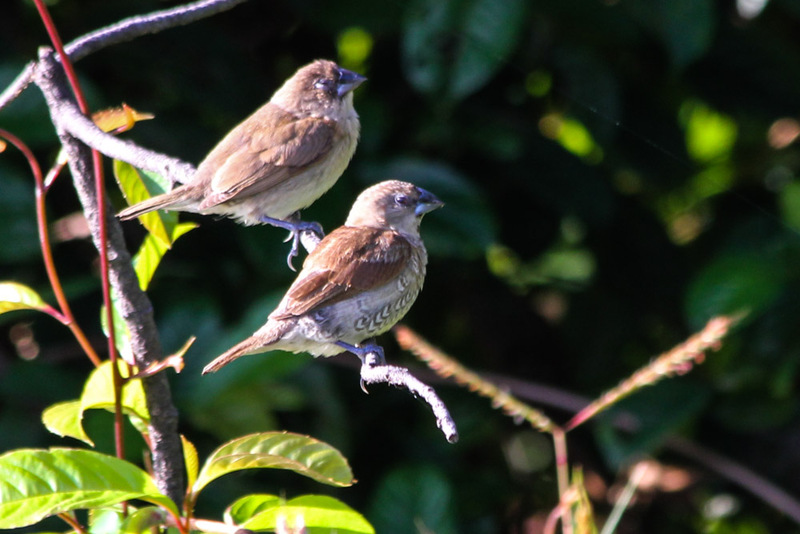 In August, the BES Drongos recruited six new members into our cause. After a training phase marred by the dreaded return of hazy weather, we are glad to announce that our newly joined members are ready to step up as Drongos! Following traditional norms, the journey of our new Dronglets began with a class held by Training Head Emmanuel, where they were introduced to the various elements of the guided trail. 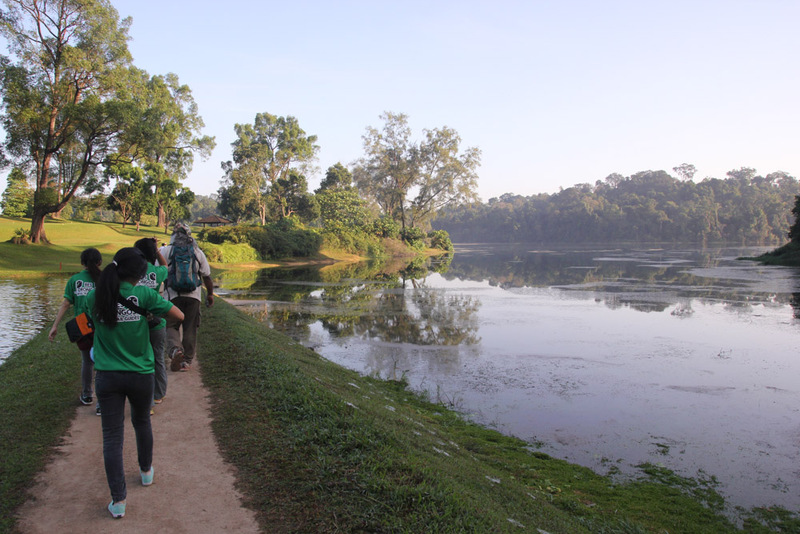 The Dronglets were then led by Senior Drongos on their first steps into the Petai Trail, where they could finally see and appreciate the flora and fauna they have learnt in class. However, learning is better gained from practice, and mastery can only follow when put to the test. The final step for our Dronglets was a proficiency test where they were assessed on their knowledge mastery and presentation fluency. Held over 2 days, 23rd September and 4th October, the test involved the Dronglets identifying and presenting their stations without assistance from their seniors. This led to some humorous situations where stations were accidentally forgotten by the Dronglets and left behind (our examiners remained silent INTENTIONALLY)! 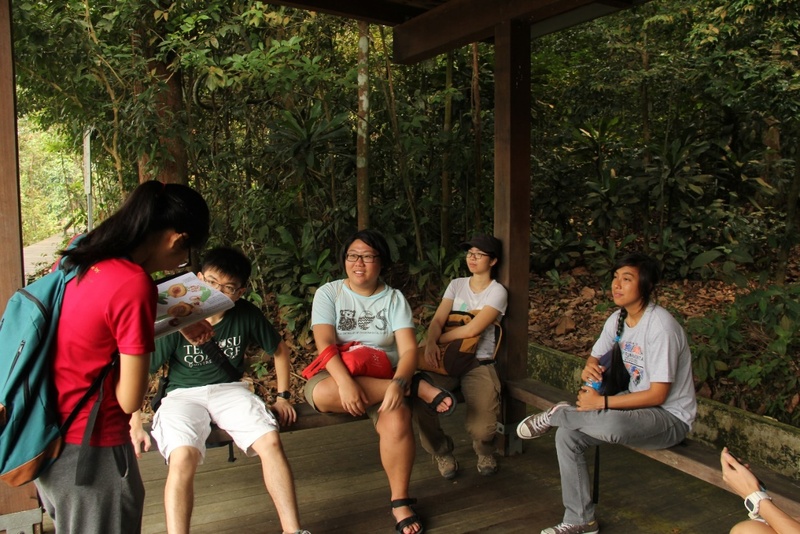 Figure 2 Inside the Petai Hut on 23rd Sept. Angela presenting on the life cycle of the fig wasps to (from left) Juin Bin, Jacqueline, Alicia and Nadia. Photo by Emmanuel Goh. 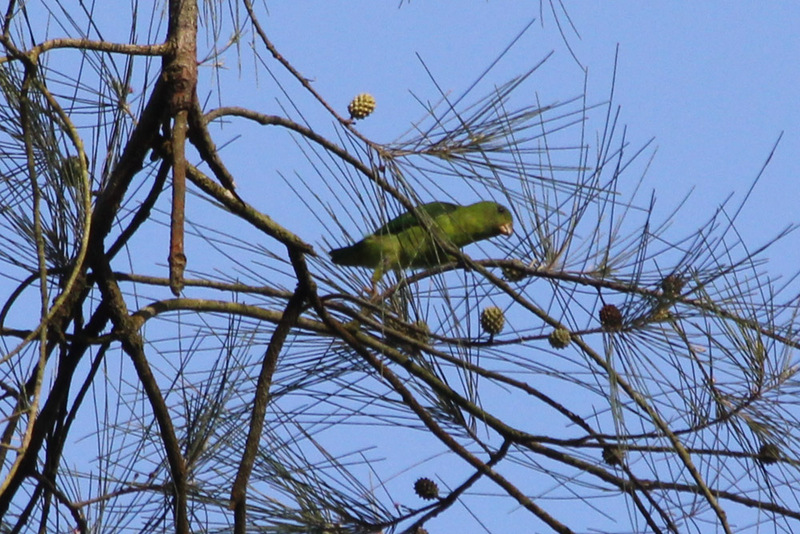 The Dronglets were also in great luck as they saw some really fascinating wildlife. 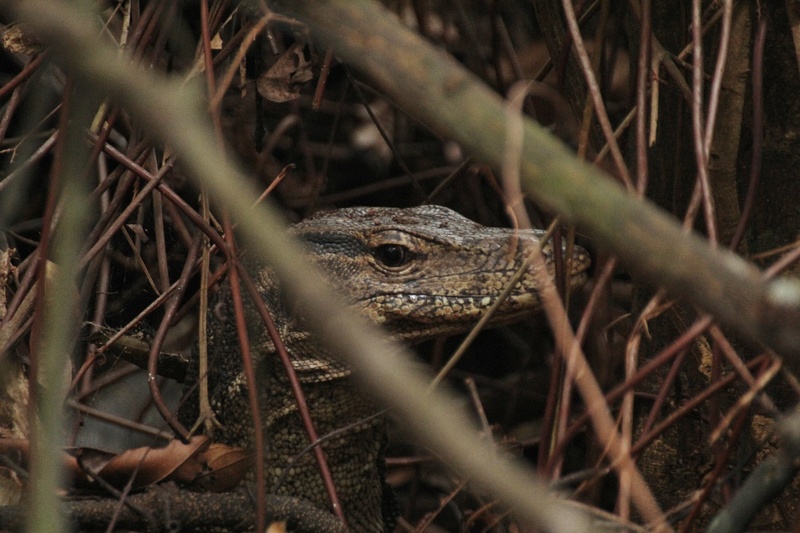 On the first test date, the test participants and examiners were treated to some thrilling (and dangerous) moments when a large Malayan water monitor lizard was observed chasing 2 other smaller monitors away from a dense undergrowth of branches and roots. It is likely that the female was being protective of her nest in the messy clump, which would indicate the presence of monitor eggs. 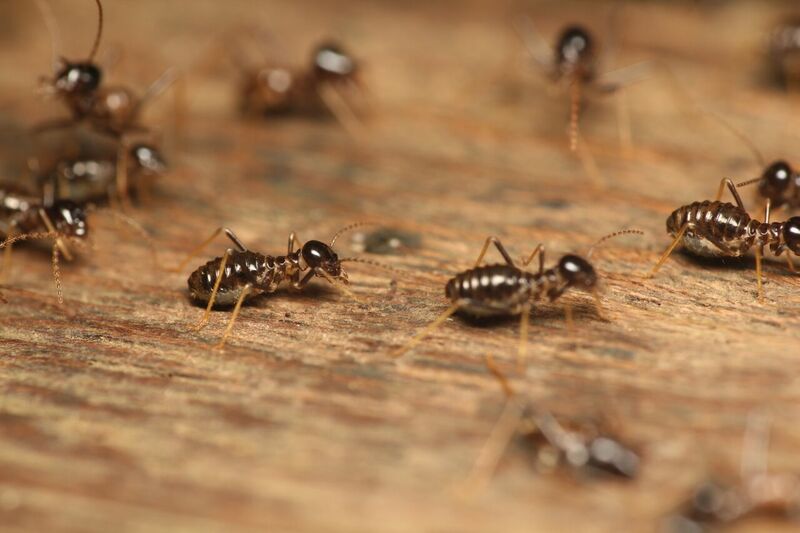 A nest of termites was also seen relocating across the boardwalks, allowing freelance photographer Nicholas to utilise his macro lens to astounding effects. Figure 4 23rd Sept. Termites moving across the boardwalk (termite is approximately 6mm long).Photo by Nicholas Lim. 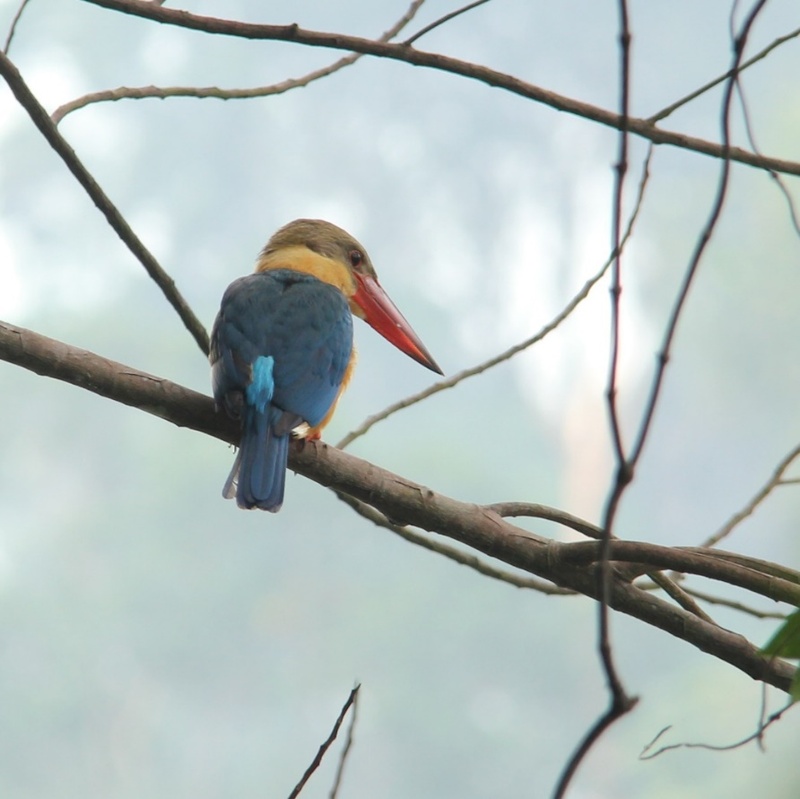 The first test date was concluded on a high when a magnificent Stork-billed Kingfisher was also observed roosting above the water near the Petai Hut! 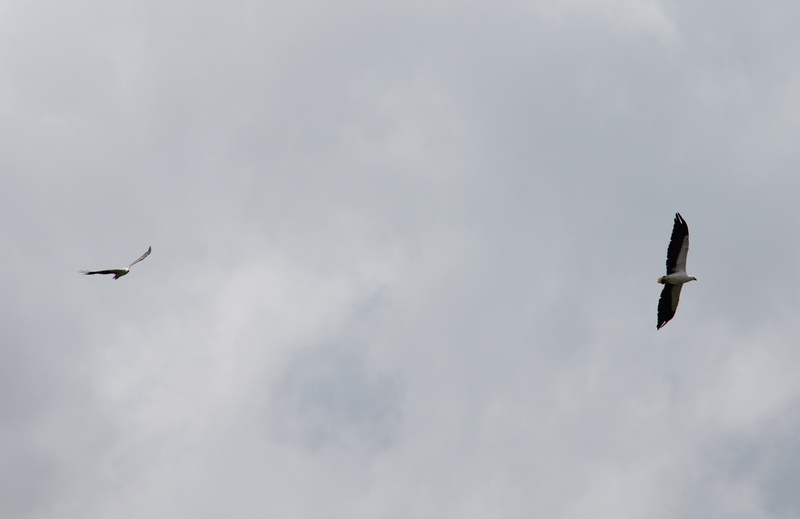 The day of the second test was equally fascinating. 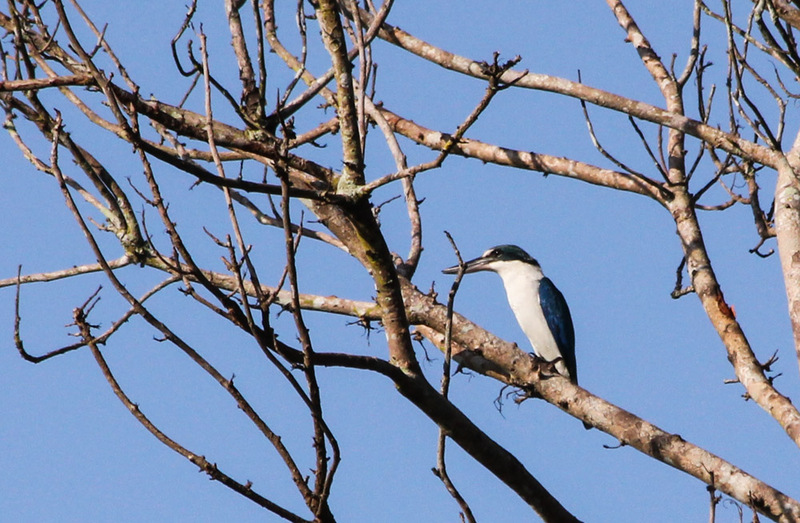 This time, the Dronglets witnessed a nightmarish scene, where a much larger swarm of termites were relocating using woody lianas and the boardwalk’s hand-railings. 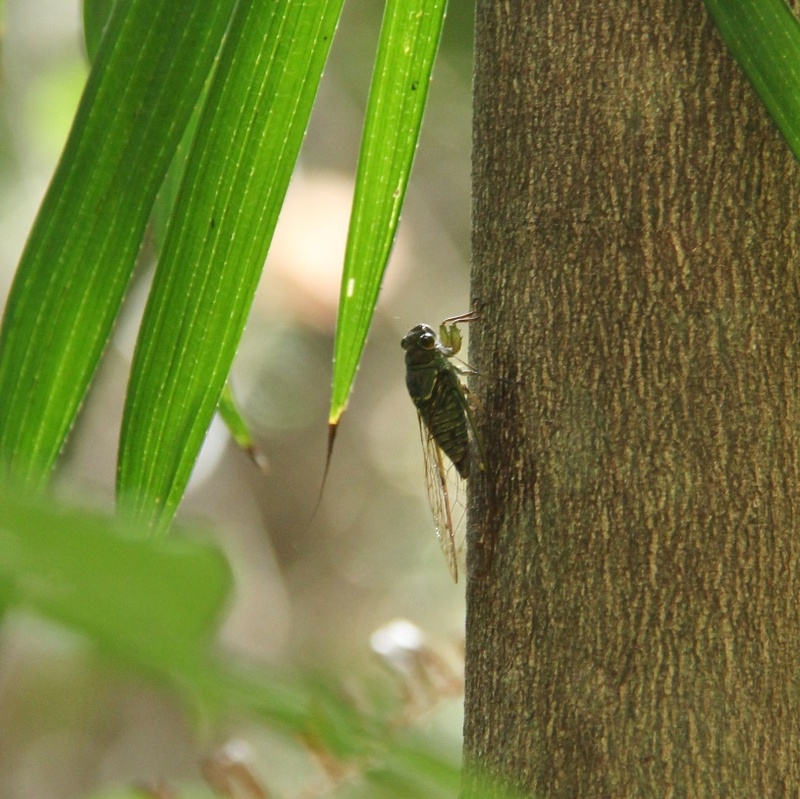 Things took a happier turn when a green-coloured cicada was observed perching on a nearby tree. 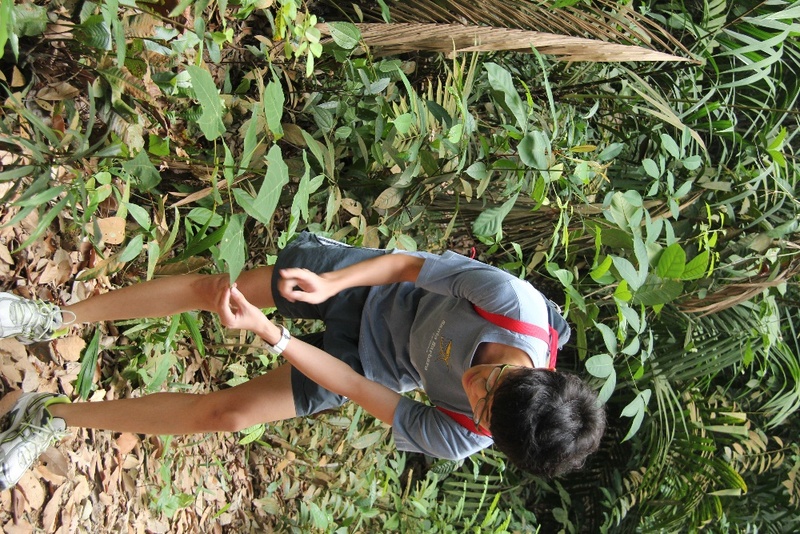 Figure 6 Cicada observed on 4th Oct. Photo by Emmanuel Goh. The walk back to the Mushroom Café upon the completion of the second day of testing revealed something adorable! 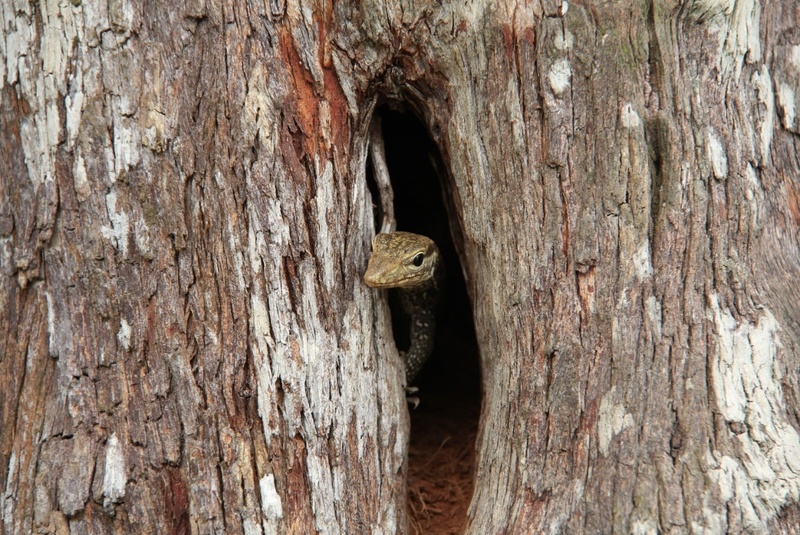 A juvenile Clouded monitor lizard was seen hiding in a tree-hole just beside the concretised path. 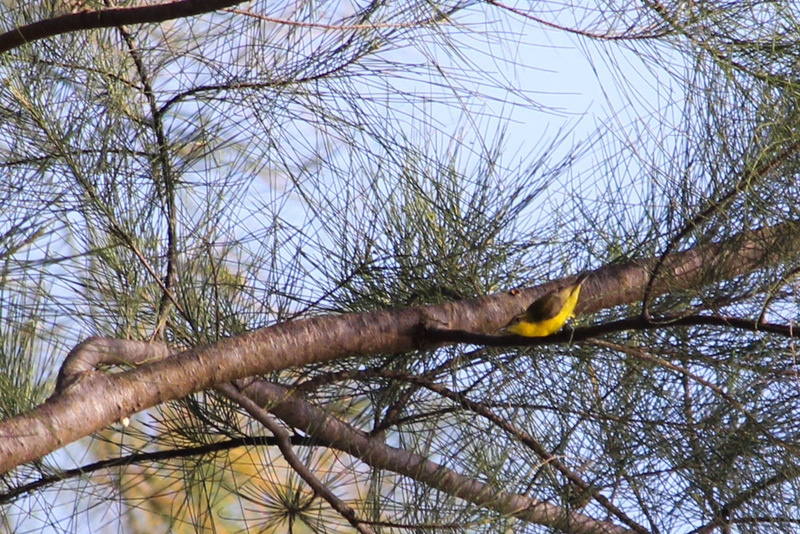 Most of the passers-by failed to notice it until the Drongos began snapping away with their professional DSLRs. A small crowd then began to form to observe the monitor lizard (which no longer seemed to be camera-shy and was becoming quite used to its job as our ‘model’). 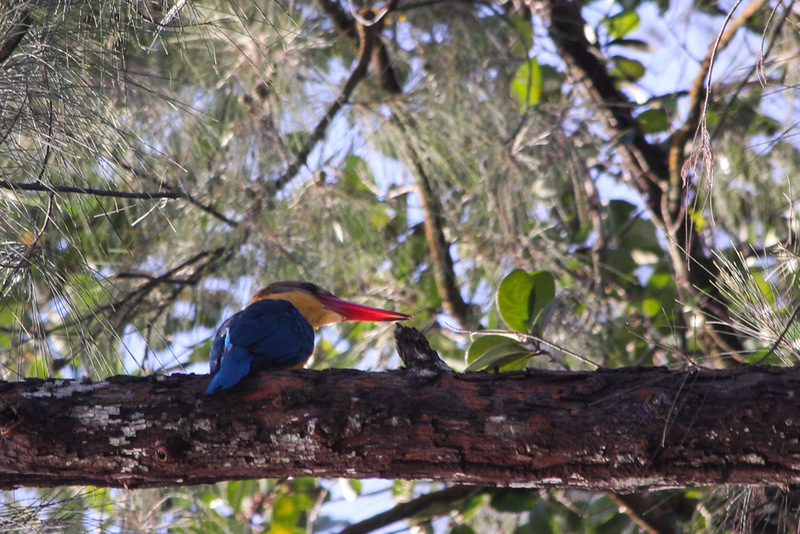 Such in situ observations of wildlife is pretty rare, and the public’s silent amazement could be felt even as we focused on photographing the lizard. Figure 7 A juvenile clouded monitor lizard (Varanus nebulosus) resting in its tree-hole along the running trail on 4th Oct. Photo by Emmanuel Goh. Thus concludes the graduation of our 6 Dronglets into Drongos! 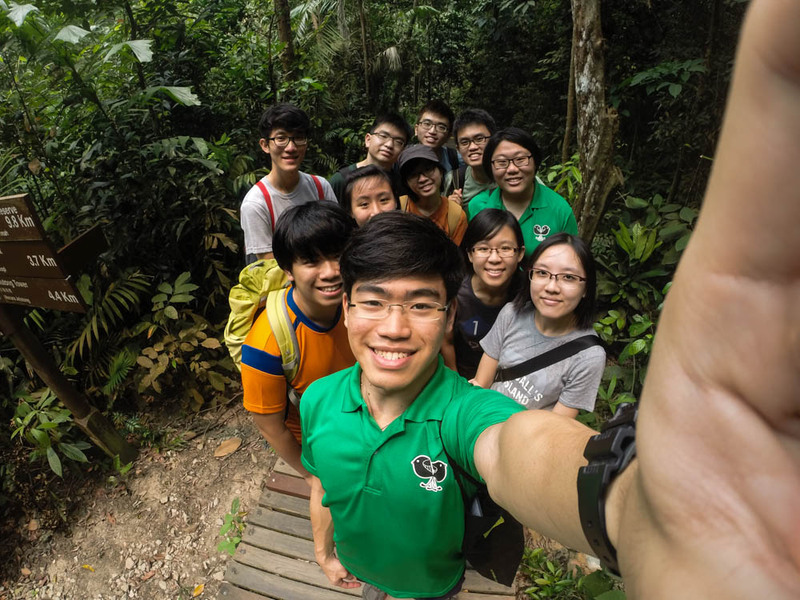 It is hoped that this period of training will have sparked our new Drongos on an eye-opening journey not just into the natural world of MacRitchie Reservoir, but to the entire natural heritage of Singapore. After all, the best tool a guide can have is experience, which is priceless and irreplaceable. Figure 8 Outside the Petai Hut. 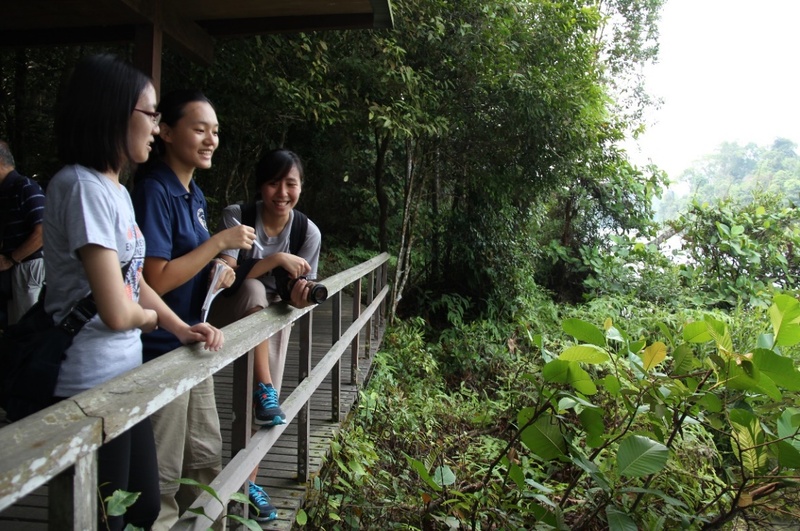 Chen Lin (centre) presenting the fig station to Cheryl (left) and Sandra (right). Photo by Emmanuel Goh. That’s’ all folks! 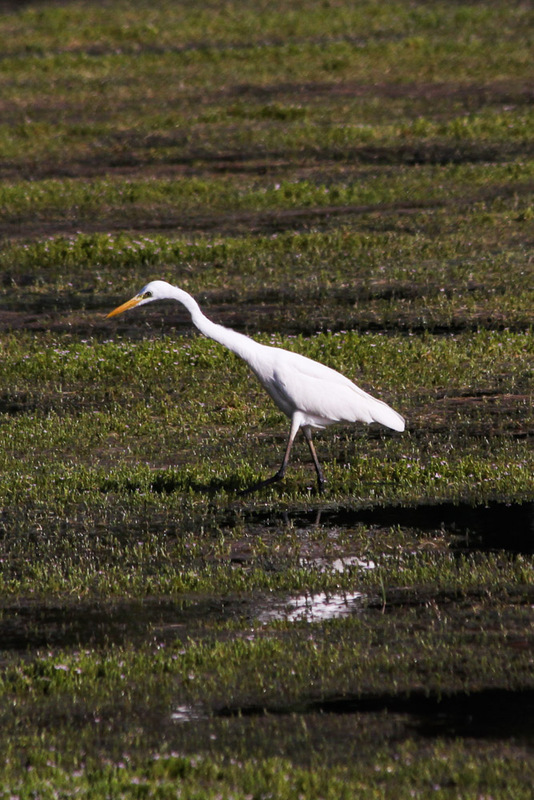 So keep an eye out for our newest guides on the trail!